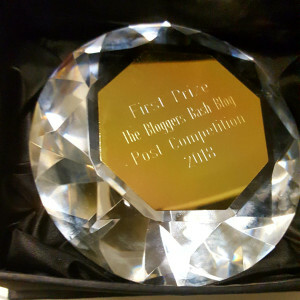 It gives me great pleasure to present to you the winners of this year’s Bloggers Bash Blog Post competition. The theme of the competition was ‘Royalty’, and participants were allowed no more than 300 words in their entry. Please do click on the links and read the winning entries, not only because they are wonderfully written stories, but because it gives the reader an idea of what judges are looking for when entering any competition. 1st Place – Marje Mallon (Blog: M. J. Mallon Author) with an entry called The Queen’s Dress Down Day. 2nd Place – Samantha Smith (Blog: Loving The Fifty Something) with an entry called The Royal House. 3rd Place – Georgia Rose (Blog: Georgia Rose Books) with an entry called The Proverbial Fairy Tale. Thanks so much for sharing the post, Marje.